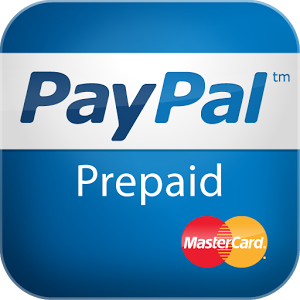 The PayPal Prepaid MasterCard has many benefits and a few disadvantages. It is not difficult to obtain. You do, however, need to set up a PayPal account. This can be done by supplying an email address and filling out basic information. After the account is set up, you can then request the card. The PayPal Prepaid MasterCard behaves like a debit card. Purchases are deducted from the card in the same fashion money would be deducted from the balance of a bank account. This card features the MasterCard logo so that it is accepted in places that take MasterCard, but the money is deducted in real time as it would be from a bank account. The card, itself, looks like any other credit or debit card; however, the “PayPal” insignia is evident across the upper portion of the card. There is an 800 number on the back that you can call to find out the balance, and customer service is always available should there be any questions. The PayPal MasterCard provides an alternative option to a bank account. Despite “PayPal” written on the front, the card looks and behaves just like a debit card. Money can be withdrawn from the card from any supermarket or bank ATM. While using the card at the supermarket or any other store, fees aren’t charged for withdrawing money; however, if money is withdrawn through an ATM, a fee is usually charged for the withdrawal. The PayPal MasterCard is accepted as a credit card in most places. Wherever MasterCard is accepted, use of this card is possible. This makes the card’s usage a smart option. It can be used at the gas pump, in most stores, for online purchases and other places that accept MasterCard as payment. Money is usable immediately as it is deposited. Money can be received from others if they have a PayPal account. There are several people that work from home using the Internet and get paid directly into their PayPal account. PayPal has become one of the preferred methods to receive payment for goods or services. There is no downtime in being able to use money that has been placed into a PayPal account. Once funds are deposited into the PayPal account, the PayPal MasterCard can be used immediately. Disputing purchases can take time. It’s necessary to have to call in at times to dispute a charge. Depending upon the purchase, the vendor has to be contacted to reverse the charge. Other times, a link below the charge on PayPal’s website leads to another area on the website to dispute the charge. It can take up to five days to reverse a charge effectively. However, customer service responds quickly and addresses the issue by responding promptly to inquiries. The PayPal MasterCard does not have a routing or account number so that another bank account cannot transfer money directly to the account. It can be linked to a bank account to transfer money, but it cannot receive money from a third party account in the same manner. Also, money cannot be deposited into a PayPal account for a tax refund. In the event a PayPal MasterCard is lost, it can take several weeks to receive a replacement. If a person is relying solely on their PayPal account to use for purchases, bills and other monetary needs, a person could struggle before receiving the replacement. Since PayPal MasterCard can be used in place of credit and debit cards, it makes it easy to use your PayPal balance to pay for purchases made at brick and mortar stores. If you don’t have a traditional bank account, the PayPal MasterCard linked with a PayPal account gives you a way to receive payments (such as from your eBay sales) and have instant access to that money besides just being able to use it for online purchases. Overall, the card is very useful, especially if another credit card or debit card is not available. One of my friends once bought a PayPal prepaid Mastercard. She put money in it and then spent it. After she stopped using it for a couple days they did what seemed to be like charging her for not using the Mastercard anymore. I was just about to purchase one until she told me about this. It made me uneasy as to whether I should get it or not. If you could please explain why this happened and if it would happen to me that would be great thanks. Hi Erick! I’m not sure what happened with your friend’s prepaid PayPal Mastercard, but you might want to check with Paypal about their policies and fees before you opt for this particular prepaid card (or any prepaid card you might choose). Another idea: I have a PayPal debit card associated with my PayPal account, and it not only doesn’t charge fees but actually earns me cash back when I use it as a credit card in stores or to pay bills — maybe you can take that route? Good luck! i don’t think rip off is a strong enough word for this card—this is closer to out right theft. i know its not your product, but did you even try it out the card is nearly impossible to activate, and not for security but by design..that’s how they steal your funds/ I have a paypal account, google wallet, regular bank account with chase, an amex serve card, so i know how this market works. no matter what you d, what info you provide or how many questions you answer, the card will remain in a state called ‘some problem’. i linked it with my paypal, it had the same personal info as my cc and bank but still no go. and unlike other prepaid cards, you could resole simply by using an atm guess what. the card IS NOT ACCEPTED at ATMS. Paypall doesnt accept it. DO NOT BYT THID CARD the object if the vendor is not to charge you for a service, but KEEP YOUR FUNDS. I have found if you don’t wish to bother with the paypal mastercard there is another way to get to your money. I have a few utility bills I pay online but they do not accept PayPal as an option, I go to a dollar general store with my phone and the paypal app, purchase a one vanilla card, pay with the paypal app and start using the card. There is a 4.95 cost to purchase the one vanilla card but its not a monthly reoccurring fee. Granted you cannot use it at atm’s but I only need it to pay bills with my paypal balance. I have been dealing with PayPal for a few years now and at first was singing their praises. Until up until about April of this year (2016). PayPal has let unauthorized people go into my account take my money on multiple occasions, even when I didn’t owe them, they’ve made me wait days, and weeks for my refund althought it took seconds to allow them to take my money. PayPal has told me, we’ll give you a courtesy and return the money as we investigate your issue, to only reimburse me the money have it fall off and then I incur all type of fees. I have had to continually call and ask them to remove theses fees and explain to them there own process. Also this last instance where my card was stolen August 9th and I still haven’t recieved my new card in the mail on August 29, where they say it takes 7-10 buisness days. I have even paid 3.95 for my own hoping it would have gotten here by now but nothing. When I call and speak to customer service, I get answers like sorry and just wait. On Friday, I spoke with a young lady that says oh Im sorry let’s see if we can get the card expedited to you, then you will receive your card in one to 3 days…..So im thinking finally a little help. Guess what I checked my mailbox and nothing. Paypal is becoming anything but my pal and unfortunately, I now have to reconsider if I should continue my services through my buisness plus my personal else where. Maybe a real banking institution will appreciate me more!